Horace had a bad day. He blanked out during a test, got an embarrassing love note, had to drive home with crazy Ms. Pearl. He felt so mean. His mother tried to start a conversation but he only wanted to growl back. Clever mother had a clever idea. She suggested making a soup. The recipe required a pot of water and salt, like any regular soup. But when mother and Horace started adding screaming and growling into the pot, as well as twenty stuck-out tongues and Horace’s dragon breath, there was no doubt they were cooking something more than an ordinary soup. It was called “Mean Soup”. A few spoon bangs on the pot and Horace began to smile. The recipe was working. It was a perfect way of “stirring away a bad day”. What a genius story! What a perfect recipe for averting a disaster! What a fantastic parenting tool! As a mom two boys, I can tell you that at the age of 7 and 3 your lives can be filled with a lot of drama and misery. Your homework might not get showcased or you might miss a 3 pointer basketball. You will have to take a nap at preschool even though you’d like to play instead. Loudly. Or there might be green beans for lunch and you don’t eat green food so you are hungry and angry. Bad mood can be infectious. One person’s tantrum can easily ruin the day for the whole family. But maybe it doesn’t have to. Maybe cooking a “Mean Soup” together can save the day? I’m ready to try it. How about you? A boring book deserves a boring write-up. So, here we go, without further ado, meet the Dullards. The Dullards’ child-rearing strategy was quite… boring. But kids don’t always listen to their parents and Blanda, Borely, and Little Dud would sometimes come up with such crazy ideas like playing outside, going to school or reading books. The Dullards couldn’t tolerate such behavior. If it wasn’t the genes, it must have been the place. “It’s like a circus around here.” It was time to move somewhere duller. But nothing is perfect. Perfectly boring that is. Can you imagine a welcome by an excited neighbor with a chunky applesauce cake? However, even that couldn’t compare to the bright and flowery wallpaper…. Will the Dullards find a perfectly dull place to raise their children? Will the children keep trying to escape the monotony? This book is so boring through and through. Dull pictures by Daniel Salmieri, uninteresting characters, dry humor… Add it all up and you’ve got an extra hilarious story! ( The exclamation mark is to annoy the Dullards). A story not only for children. I don’t wish any child to be raised by the Dullards, but I think that a dull moment here and there would not be a bad idea for our over-scheduled and overstimulated kids. Let’s dare to be Dullards once in a while. Boredom can be good. Even inspiring. It can lead to creativity. Our bored kids can actually surprise us with something not so boring after all. With the school year about to start or just started in most schools, a book about the thrill, or trauma, of the first day of school might be a good idea. How to explain to a little kindergartner what it is going to be like at the big-kid school? How to make the first day a positive experience for an anxious five or six-year old? How to prepare for the worst case scenario? Perhaps reading about how Dinosaur and his friend do it might help? When Dinosaur sulks, roars, stamps his feet and finds numerous excuses why he shouldn’t go to school, his friend tells him about all the fun he can have and all the things he can learn at school. He tells him not to worry about messing up his painting because that might be a way to create something beautiful. And he tells him not to overthink the yucky lunch menu. There is always a salad for herbivores. Dinosaur learns he shouldn’t worry about being shy, because there will sure be other shy dinosaurs with whom he can build sand castles and play tag. After a pep talk like this, there is nothing left for Dinosaur than to smile his “big, toothy, Dinosaur smile”. 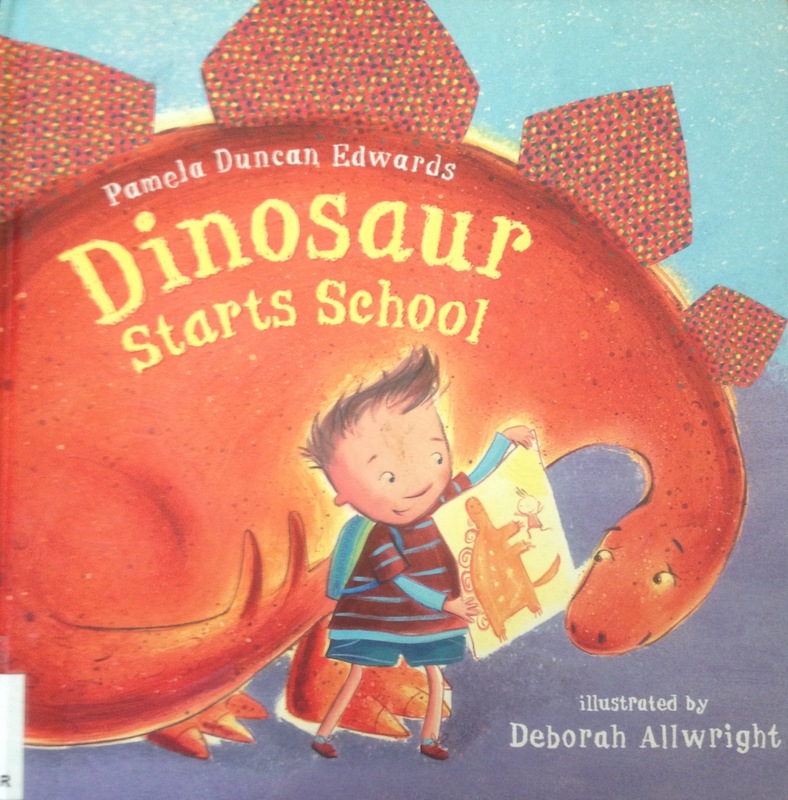 And that’s what you will get from your own Dinosaurs after reading this warm and reassuring story, so brightly illustrated by Deborah Allwright. May it be a great school year for everyone! This book recommendation is for my always traveling and always jet lagged husband, and for anybody who has ever had trouble getting on schedule in a different time zone. 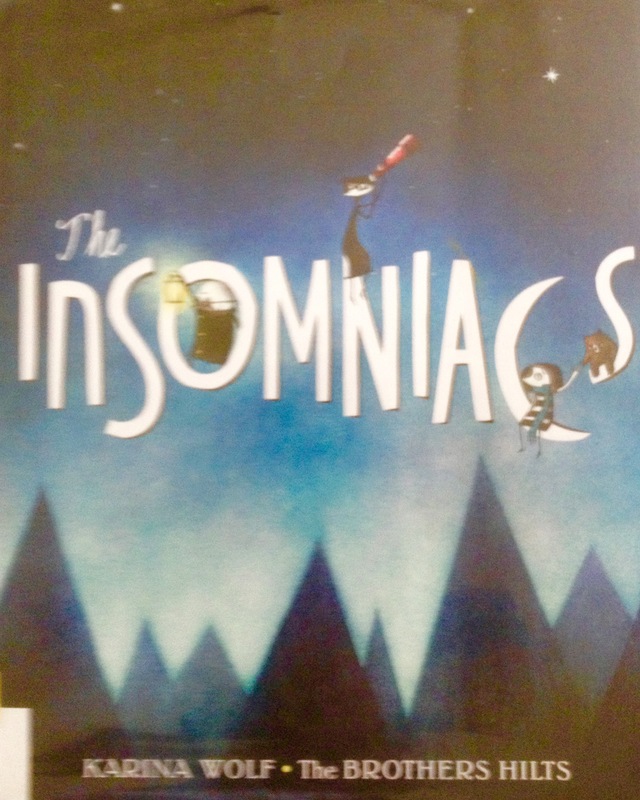 Everything changed for the Insomniac family when Mrs. Insomniac took a job across the time zones. Adjusting to a life on another continent wasn’t easy. When it was time to work and study, the Insomniacs wanted to sleep. When everybody else slept, the Insomniacs were ready for action. They tried everything, from drinking milk, meditating to counting to a thousand, but nothing helped. Finally, the Insomniacs got tired of fighting off their nocturnal habit and decided to embrace it. As they started exploring the night world, they noticed that the night was teeming with life and exciting things to do. From moon bathing, to eating nightshade vegetables, the Insomniacs discovered that perhaps waking up after sunset might suit them after all. One can always study and work remotely. What a wonderful celebration of the night! 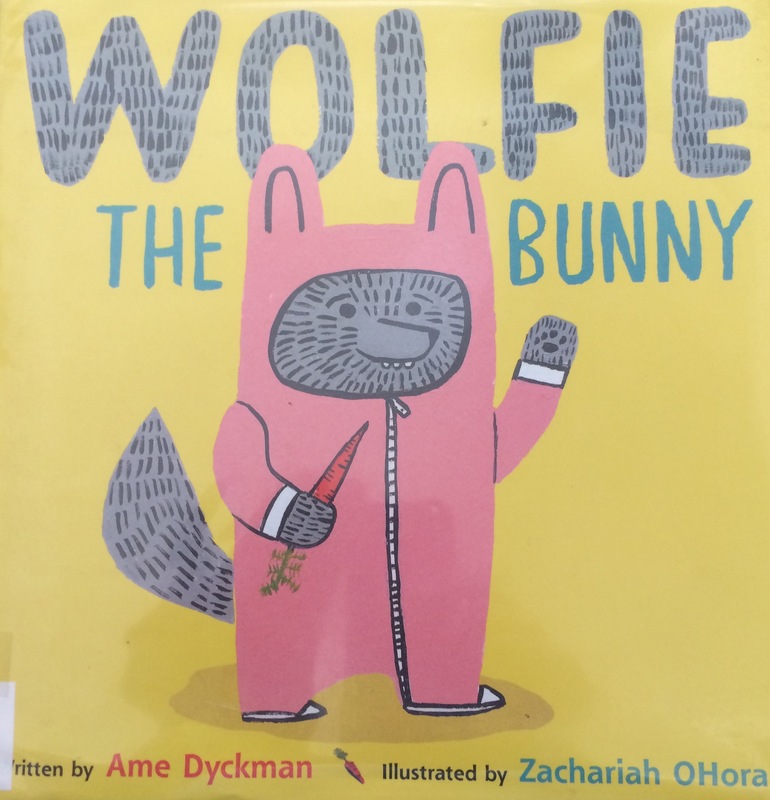 I guess, one can expect nothing less than a great nocturnal story, if the author’s last name is Wolf, right? I think it is the first book about night that is not sleepy or dreamy. It is energizing, actually. Is it the lunar energy perspiring through the book? And then one must not forget the grotesque pictures by The Brothers Hilts: so dark and mysterious. Who would think it was the artists’ picture book debut? To sum up, if you and your little ones should be sleeping now, hope you are having good dreams. But if you are not, because you can’t, stop wasting your energy on tossing and turning. Follow the Insomniacs. Use the energy of the moon. Discover a night owl in you. Have a good night! 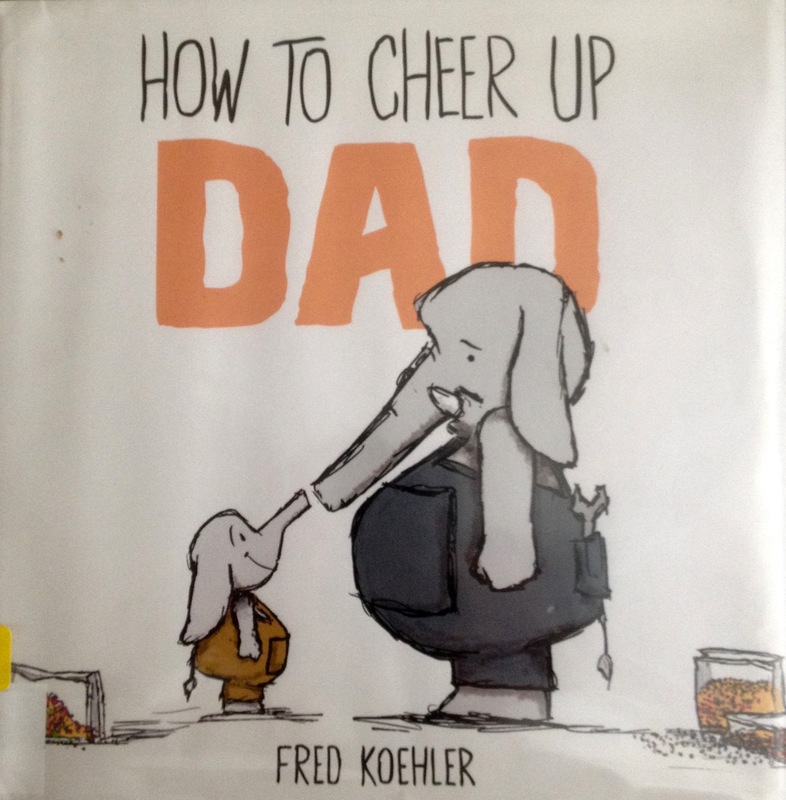 A little tribute to Dads and a great gift of read-together for Father’s Day and every day! Enjoy the story and have a great Father’s Day!